Weave thinking encourages us to value all the varying and diverse roles in our workplaces, our communities and our families. I’ve been thinking about family roles. We naturally think about the primary relationships first, parents and children, and grandparents and grand children. But how important are Aunties and Uncles? And how much do we celebrate and acknowledge these important roles? I am an uncle, and so I’ve been thinking, what is the role of an uncle? And what might good Uncleship look like ? Not just in my family, but as a positive male role model. A while ago I was in a business mentoring feedback session. It was unexpected feedback and I rather liked it. She wass saying I occurred as a nurturing and trusted uncle, a male role model, a supportive colleague. In both professional and personal life, I have often found myself in the role of a mentor or teacher, nurturing others who may be younger than me, others who have been unsure, lacking confidence or simply looking for support. In te ao Māori I have been called matua and pa, and feel honoured when I have been, because these are terms that are respectful of a male figure, who may or may not be a blood relative, but is offering some mana, some wisdom, some insight, someone trusted. In Thailand, travelling with some New Zealand students, I was called ajahn, teacher. The word was used much like matua is used in te reo Māori, and it could be applied widely, respectfully to a figure who was offering some learnings, wisdom or leadership. And that came from both the living and the dead. When we visited a medical school at a Thai university, the cadavars being used for the students to study were also referred to as ‘ajahn’. So in mainstream western culture, do we revere the role of uncle? Is it broadly applied to a trusted male figure that is offering nurture, support, love? Western society is struggling to offer many good male role models. We struggle because our male roles, as with female roles and gender altogether have transformed dramatically from days of hunter gathering, and patriarchal systems. The reactions have often been violent and distraught. How do you express yourself today in your masculinity without constraint, but that does not harm or dominate another? It’s a big question we need to answer. Good uncles can be great male role models. 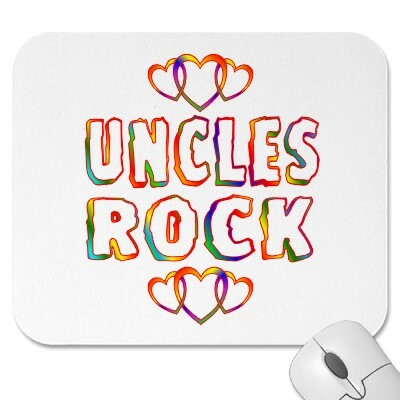 I’ve known some amazing uncles. Sometimes an uncle can be a greater support to a child or teenager when they are not their father. Our nuclear family age puts a lot of terrible pressure on Dads, as it also does on Mums. I know there are both blood relatives and friends who have been great uncles to my children. Their lives have been all the richer for their support. Sadly, an older male figure, who is not the blood relative father of a child or teenager is often viewed very warily in their relationship with a younger person, especially if they are a girl or young woman. And sadly this distrust can be well placed as there are those who have been abusive in these roles. As have fathers and ‘step’ fathers. All the more reason to celebrate the uncles who are good role models. I am all for the rise and the rise of the great uncle, the good uncle, the trusted male figure in our society. Perhaps we need Uncle Clubs, or Uncle Workshops, Uncle Gatherings, Uncle Support Groups, Uncle Celebrations, Uncle Training Programmes. Great families, great communities and great organisations weave different roles together to create a greater fabric. Today, more and more people are choosing not to have families, and so the role of uncles and aunts, whether blood relatives or trusted friends or colleagues is going to be increasingly important for health communities. Let’s weave a greater role for uncles… and aunties.